How about a cheap Apple Watch for hitting your step goals? Health insurance giant Vitality has upped its wearable tech game by offering customers cut-price Apple Watches as part of its premiums. The company jumped on the wearable tech bandwagon back in 2014, offering customers the chance of lower premiums for hitting their step goal using Fitbit fitness trackers – and it seems the added sport credentials of the Apple Watch Series 2 has prompted the company to revamp the program. Members can bag a Series 2 for just £69 and then "repay the balance" by earning Vitality points. They then take out a credit agreement for 24 repayments of £12.50 at 0% APR but only pay back a percentage of that based on how active they are. To translate physical activity into points, 7,000 steps a day earns a user three points, 10,000 steps earns five points and 12,500 steps bags 10. You need 160 points in a month to repay £0 on an Apple Watch plan, which means you'll need to hit 10,000 every day for a month (plus a little extra one day). Vitality may be a UK company but it's part of Discovery, a global giant in health insurance, and there's already been rollouts in the US and South Africa. Interestingly, the company has found that Apple Watch users are more active than users of other devices logging an average of 3.5 active days per week, as opposed to 2.9 days. 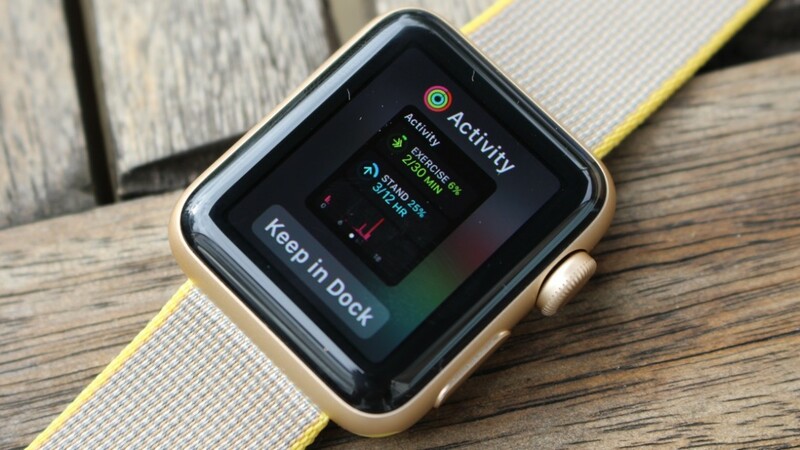 "The Apple Watch, through its engaging, personal interface and powerful health capabilities, is a fantastic tool to motivate and reward Vitality members to get active," said Discovery chief executive Adrian Gore. And Vitality CEO Neville Koopowitz also talked about the need to change people's behaviours, something that we've written about extensively at Wareable. "Encouraging our members to be active is integral to the Vitality program – being active has a profound positive effect on a person's health and productivity, and also leads people to improve other lifestyle behaviours, such as nutrition," he said. "Through our Active Rewards benefit, where we link immediate incentives to the achievement of short-term physical activity goals, we have seen significant increases in the amount of activity our members are doing and, importantly, many previously sedentary members have now become active." It's not just a cut-price Apple Watch that's on offer. Those hitting targeted step goals can earn free weekly Starbucks and cinema tickets. Better than just a digital badge for hitting your 10,000 steps a day.